A leading cancer specialist has called for a nationwide lung cancer screening programme targeted at older smokers. Professor John Field of Liverpool University warned that thousands of lives in the UK are potentially at risk, if delays to lung cancer screening continue. He called for such a screening programme to be rolled out by the end of 2016. Writing in the Nature journal, the professor stressed the urgency required by quoting figures from 2012 indicating that someone in the European Union died every 2 minutes from lung cancer. This is coupled with the fact 75% of people suffering from the disease are not diagnosed in good time. However, statistics from the US show that early screening can lead to a 20% reduction in deaths from the disease. Indeed, guidelines in America recommend that CT scans should be given to older smokers annually with a view to the early detection of lung cancer. 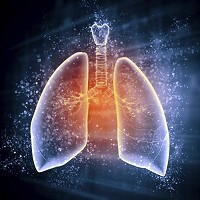 Professor Field explained: "The good news is that screening for lung cancer [...] could reduce this enormous burden of mortality, through early detection and treatment." Field would like to see the test being offered in the UK to 55 to 80 year-olds, with the core of this group made up of individuals who have smoked a packet of cigarettes every day for 30 years. In the meantime, trials are under way in Belgium and the Netherlands, as are pilot schemes in the UK, as health authorities await the findings. People with lung cancer can arrange specialist travel insurance for cancer patients in the event of travelling overseas. Although also common in people who do not have lung cancer, experts urge people experiencing the above symptoms to visit their GP.